There is a new 'superfood' on the scene. A Current Affair talked to the experts to get the facts on the African Mango craze - and how to be sure you get what you pay for. A Current Affair does not endorse any product featured on the show and you should consult your medical practitioner as to the suitability of any treatment. After careful consultation and research, Sumabe have released Sumabe African Mango for Slimmers into their range of “for Slimmers" products. Each bottle is 60 capsules, and each serving is 1-2 capsules per day - effectively giving you 1-2 month supply. 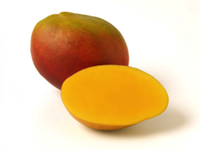 We have ensured we include the highest extract of African Mango (Irvingia Gabonesis) equiv. 2500mg in each capsule. 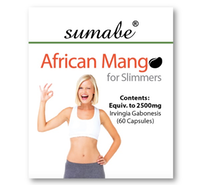 Sumabe African Mango for Slimmers includes specific ingredients to ensure maximum absorption for maximum benefits.